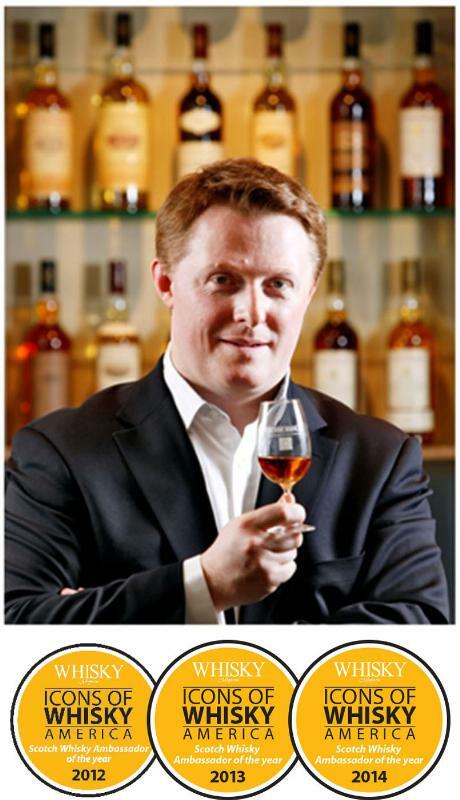 NEW YORK, Nov. 22, 2013 /PRNewswire/ — Glenmorangie, Scotland’s favorite single malt Scotch whisky, is proud to announce its Global Master Brand Ambassador David Blackmore has been named Icons of Whisky America, Scotch Whisky Ambassador of the Year 2014 by Whisky magazine. This marks the third year in a row Blackmore has been honored by the industry leading publication. Blackmore’s incomparable dedication and enthusiasm for the fastest growing single malt Scotch whisky in the U.S. was greatly inspired by his work as part of the whisky creation team, with Master Distiller, Dr. Bill Lumsden. Not only is he an expert on the entire Glenmorangie range, but he is also a chief authority on Ardbeg, leading education programs for both brands throughout the USA. In the past 12 months Blackmore has travelled to over fifty U.S. cities, thirty cities across Asia and five cities in Canada. He has presented to over 55,000 people and been heard by an additional 500,000 viewers through television and radio broadcasting. Blackmore’s most recent project was an international cross-industry initiative. David, joined by Dr. Bill Lumsden, worked on the program with three of Scotland’s top distillers, as well as representatives from the Scottish Government, DISCUS, SWA at Mt. Vernon, George Washington’s distillery. The fastest growing single malt whisky in the U.S., Glenmorangie has received tremendous accolades from the International Wine and Spirits Competition, the San Francisco World Spirits Competition and the Wine Enthusiast’s Wine Star Awards. Most recently, Glenmorangie’s Private Edition Ealanta was named 2014 World Whisky of the Year by Jim Murray’s Whisky Bible, scoring 97.5 out of 100 points, and is described as having “One of the longest finishes of any Scotch this year…and borderline perfection.” In addition, over the last five years Glenmorangie has won more “Gold Best in Class” medals than any other single malt from the International Wine and Spirits Competition and was also named their 2012 Distiller of the Year. Glenmorangie originates in the Scottish Highlands where, at the Glenmorangie Distillery, it is distilled in the tallest malt whisky stills in Scotland, expertly matured in the finest oak casks, and perfected by the 16 Men of Tain. The distillery was founded in 1843 and is renowned as a pioneer in the whisky industry, uniting tradition with innovation. Most recently, at the 2012 San Francisco World Spirits Competition, Glenmorangie was awarded the prestigious title of ‘Distillery of the Year’. Today, the company is one of the most renowned and innovative distillers and marketers of Scotch whisky brands worldwide and is part ofMoet Hennessy, the wine and spirits division of Moet Hennessy Louis Vuitton (LVMH). Headquartered in Edinburgh, Scotland, the company produces two main single malt brands – Glenmorangie Single Highland Malt Whisky and Ardbeg Single Islay Malt. 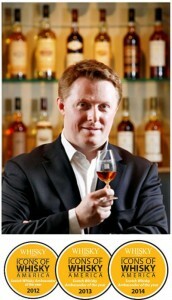 Visit www.glenmorangie.com for additional information.